When people think of directories, they picture the Yellow Pages or Yelp. That’s all well and good, but you could also get creative! You don’t have to list local businesses only. For example, you could also display niche markets such as, say, the best pet grooming salons in the country. The important thing is that it's possible to create a small to medium directory with an app maker. Now one thing to note is that while all solutions let you add points on a map with a small description about what they represent, it’s not quite enough to qualify as a directory app. An example of how you can place points on a map with Swiftic. Not enough information to be a really useful directory. Both AppyPie and AppInstitute let you play around with templates and your colour scheme before you can start adding a directory module. With AppInstitute, these are called “tabs”, and the one one you’re after is called GeoDirectory. 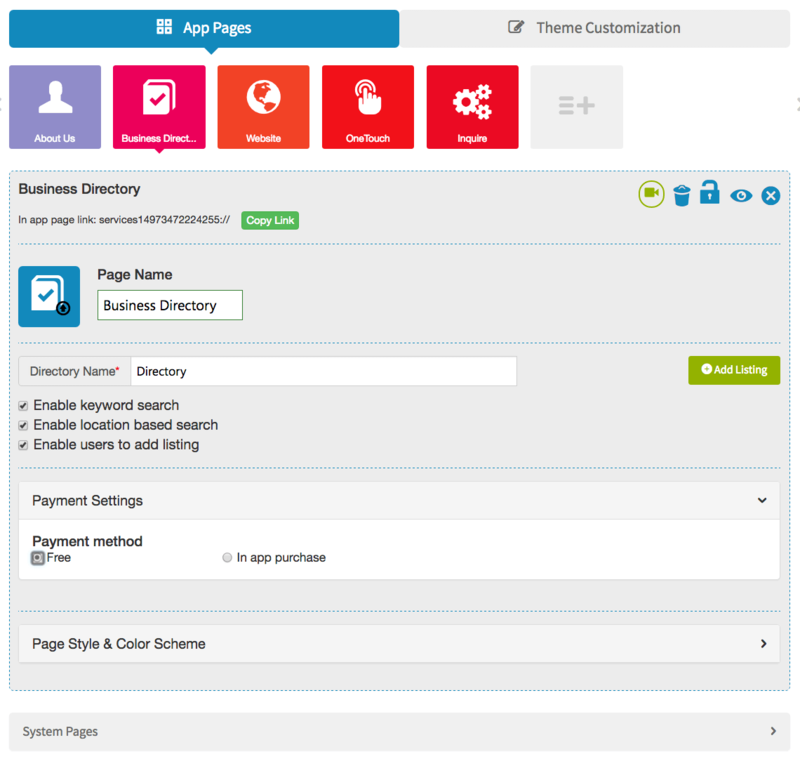 With AppyPie the modules are called “Pages”, and you can add the one called Business Directory. You’ll be presented with the following screen. 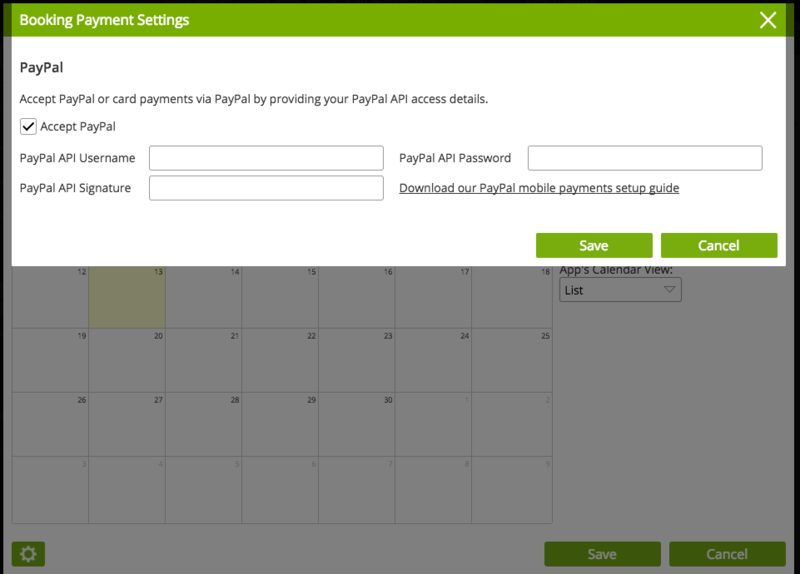 As is often the case with AppyPie, what happens next is a bit confusing because you can’t really do much here. 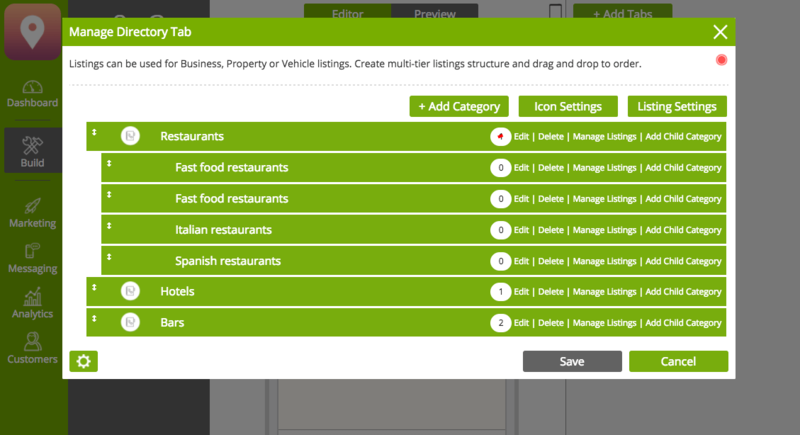 You’ll have to go to your App Dashboard to start adding things such as categories and listings. 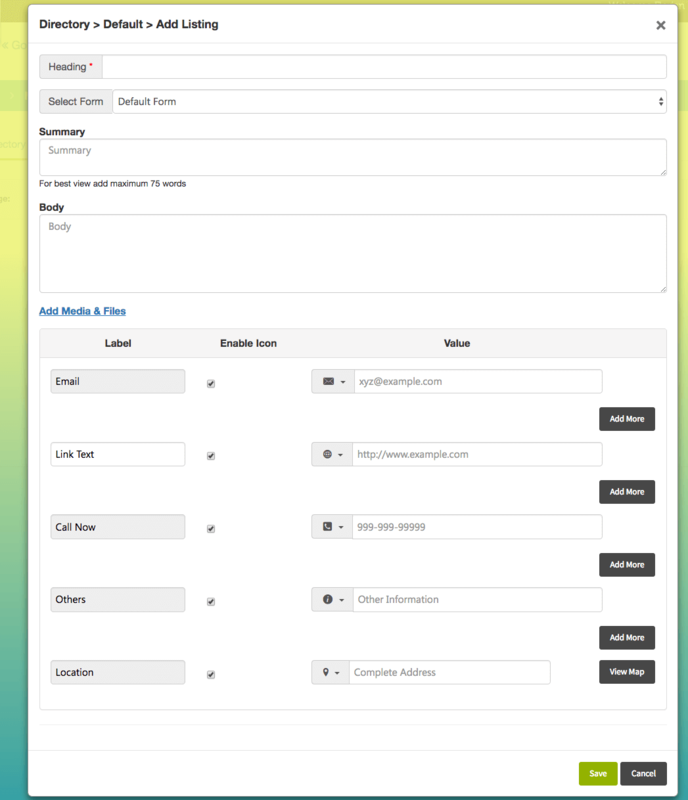 With AppInstitute, you can immediately start adding categories, child categories and create your listings within them. Apart from that, it’s more or less the same idea: you can create different sub categories and reorder them as you wish (you can even drag and drop them in your order of preference). 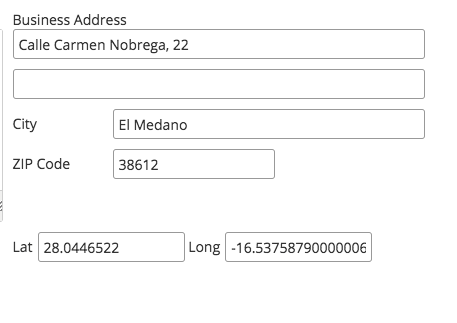 However when it comes to adding an address, AppInstitute is missing a simple feature that makes it slightly less intuitive: you don’t get to see where it is on a map. 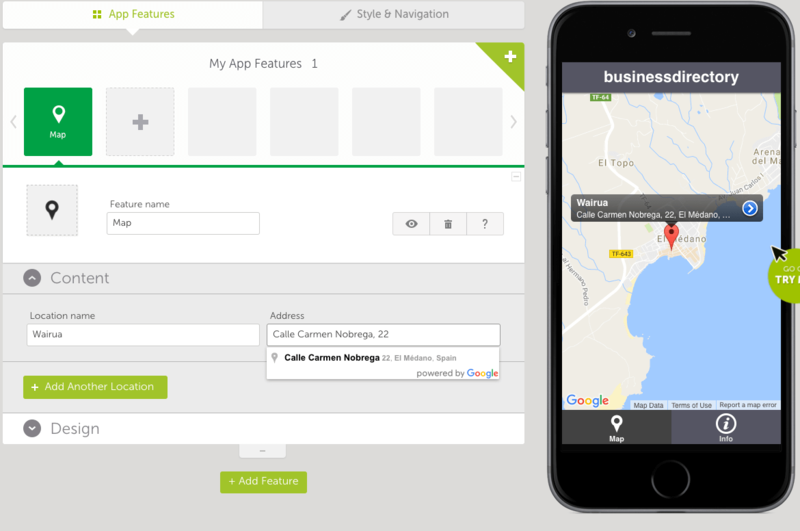 What you find instead is that the latitude and longitude coordinates are updated automatically. And you kinda have to trust that it’s working fine until you test the app. Another annoying thing with AppInstitute: you do have to add every single listing manually. 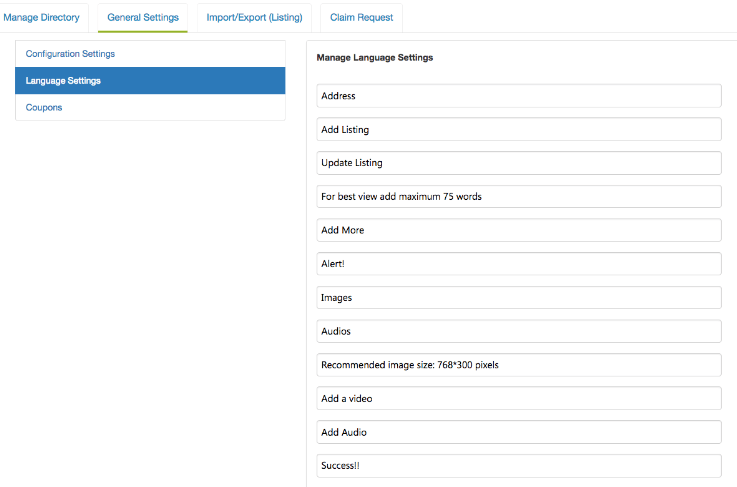 There is no way to add listings automatically, while AppyPie offers the option to upload listings via .CSV file. This could save you a lot of time if you have a long list to go through! 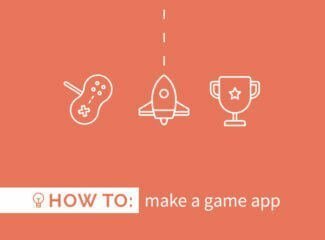 Both app makers have their own unique features for the listings, so it might be worth choosing one or the other based on your kind of directory. 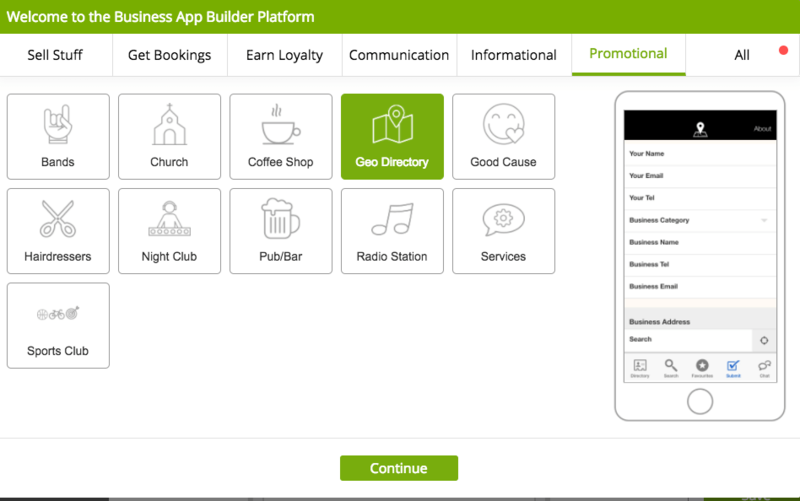 For instance, AppInstitute lets you enable things like in-app bookings, reservations and vouchers. 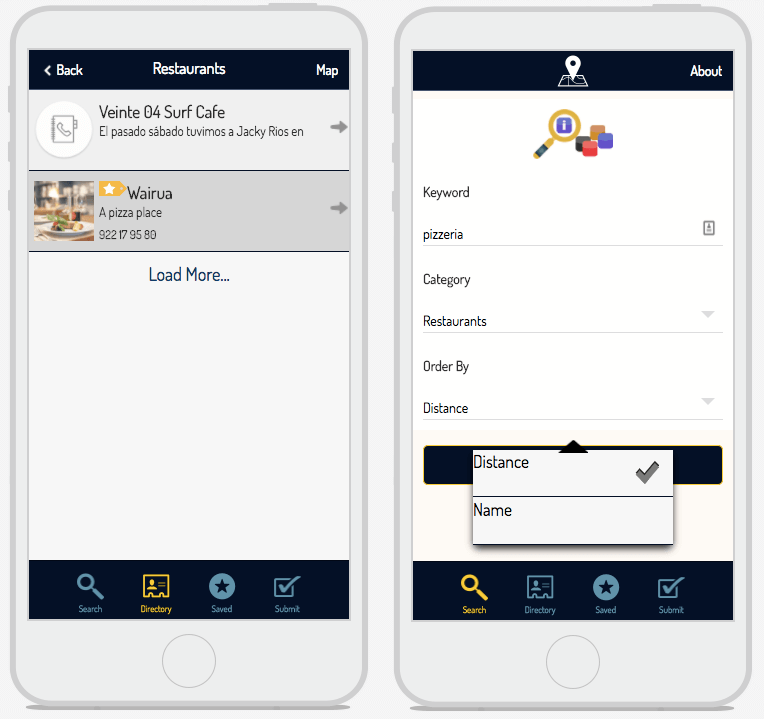 As you can imagine, this is very good for local restaurants, hotels shops and bars. And all the listings come with user reviews, which they can submit directly in the app ( you can manage them later). AppyPie has an interesting idea with the kind of media you can add to each listing. These include images, YouTube videos and even audio streams, which would be perfect for a directory of, say, the best podcasts on a certain topic. 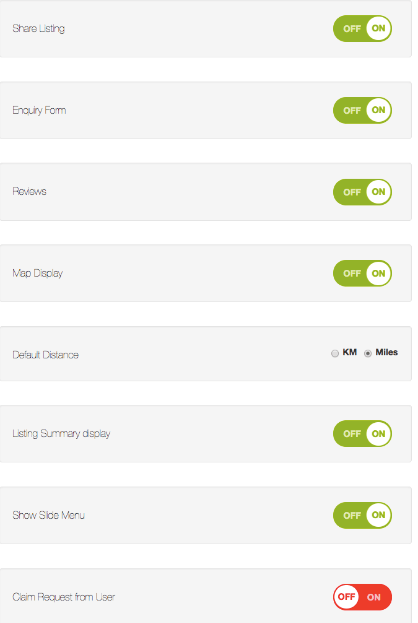 And they also have a very good list of display options for your directory, such as reviews, email notifications, etc… Sadly, AppyPie’s features are always based on pre-made templates so you don’t get much customization options. 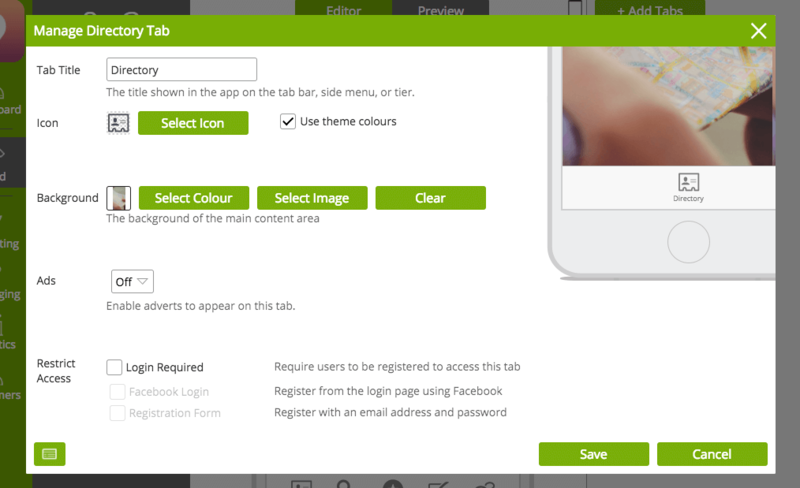 It might take a bit of trial and error – but the idea is pretty simple: you can choose what fields to offer users when they submit their own listing. One thing to note is that getting started could be rather time consuming, especially if you have to upload all the listings manually. There isn’t a limit on the amount of listings, but if you want to add 100+ of them, make sure that it doesn’t slow down your app too much. 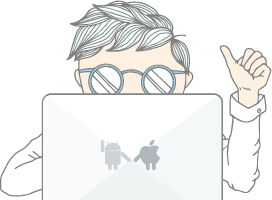 Finally, remember that directories can be for anything and that you can make them more interesting by letting users submit things like personal ads, or even by creating special paid sections of your app for premium users! Found another solution for creating a directory app? Questions? Feedback? Let us know in the comments below!